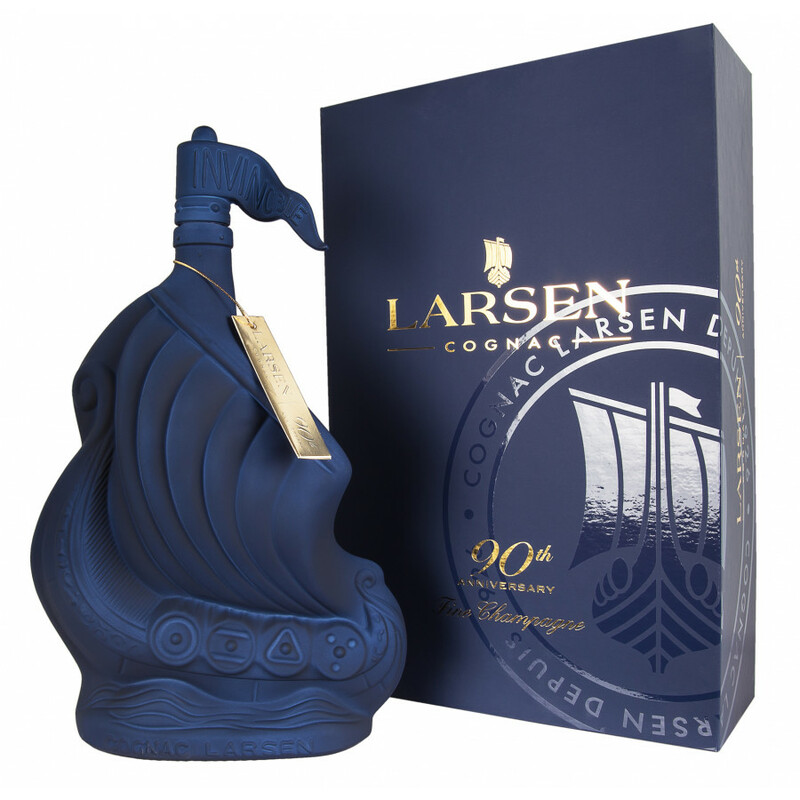 Draakar Larsen Cognac is one of two new cognacs to be unveiled this year (2016) to celebrate Larsen's 90th anniversary. This is a modernistic take on their emblematic carafe (in the shape of a ship) that was created in the year 1952. This uber-trendy bottle sports clean lines and a definite minimalistic feel - it's a great one to put on display. The carafe itself continues to be a tribute to the Norwegian origins of the house, who pride themselves on their Viking spirit and spirit of adventure. The cognac contained within is a fragrant blend of Fine Champagne eaux-de-vie. A great one for the collectors out there.